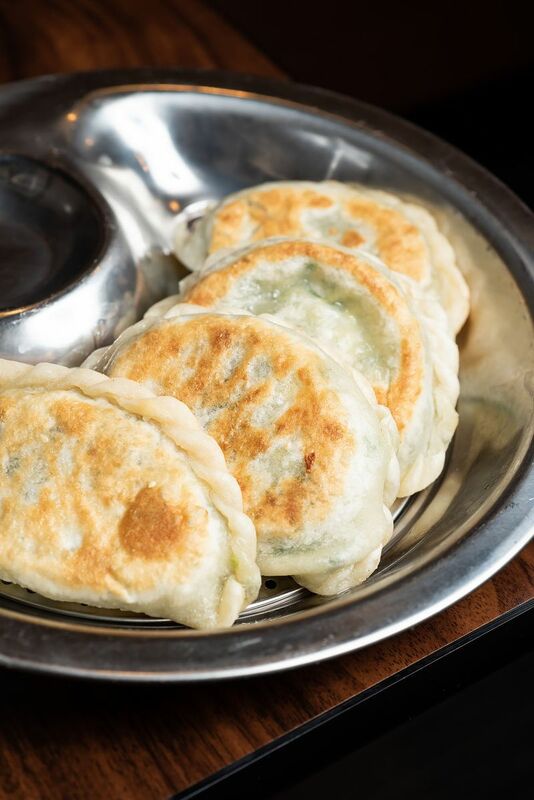 There are plenty of places to eat dumplings in the San Gabriel Valley. Everyone seems to have their favorite tried-and-true haunt, which means that the arrival of a new place is often met with little more than a shrug. Furthermore, the fact that there’s rarely any identifiable quality that sets one spot apart from the next makes it easy to maintain one’s loyalties—exclusively frequenting a singular dumpling restaurant in perpetuity. 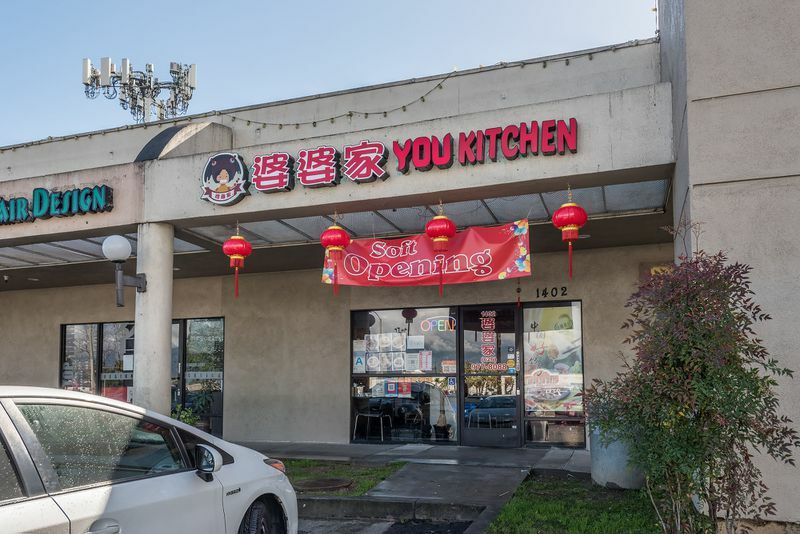 You Kitchen, a small restaurant that opened last September in an Alhambra plaza that includes a bowling alley, is an exception to the rule. The restaurant makes an immediate first impression. 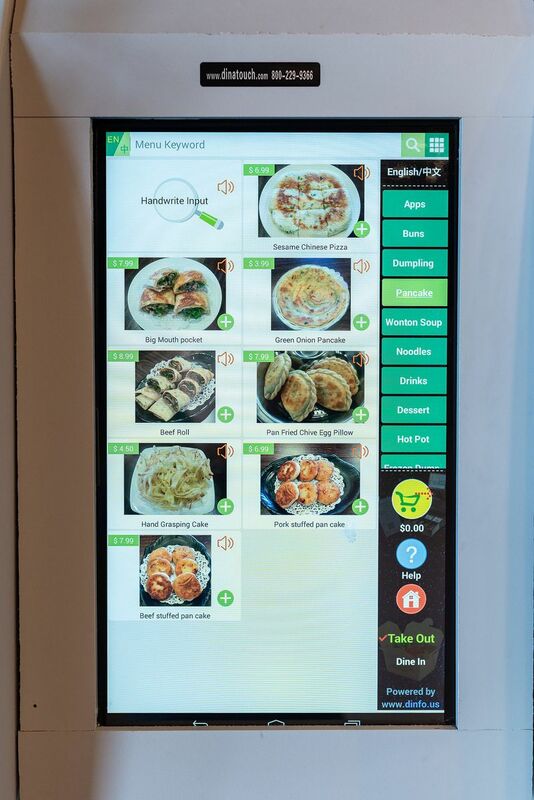 Upon entering, diners are greeted with a touch screen ordering kiosk. The menu here is divided into half-a-dozen sections: appetizers, buns, dumplings, pancakes, wonton/soup, noodles, drinks, dessert, and hot pot. The tech-forward menu is easy to navigate and helps bridge communication gaps. Aside from the futuristic menus, You Kitchen adheres mostly to tradition. Each dish is made fresh to order, and diners can see their food being prepared through a window into the kitchen. This dedication to quality means that orders take a while longer to make their way to tables, but the reward of piping hot, made-from-scratch food more than makes up for it. 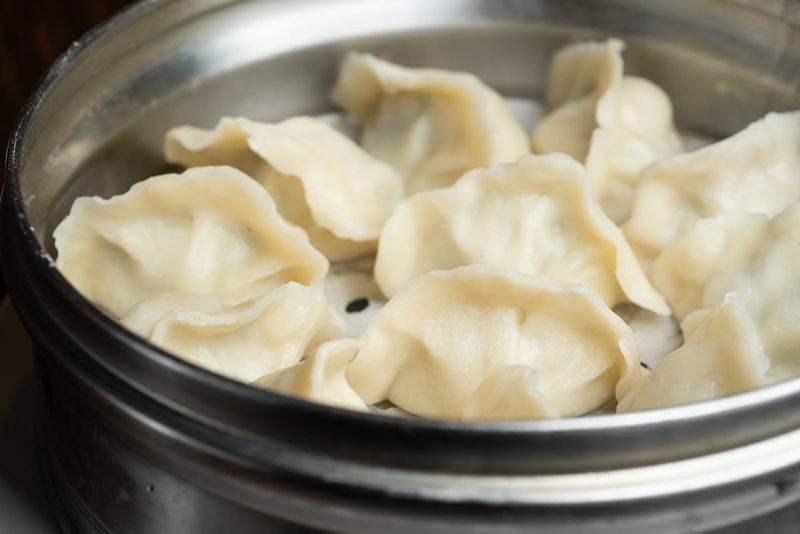 There are 11 different dumplings on the menu, including ones stuffed with pickled cabbage and pork, a specialty from proprietress Mary Shao’s hometown of Shenyang. All of the dumplings can be ordered steamed, boiled, or pan-fried. 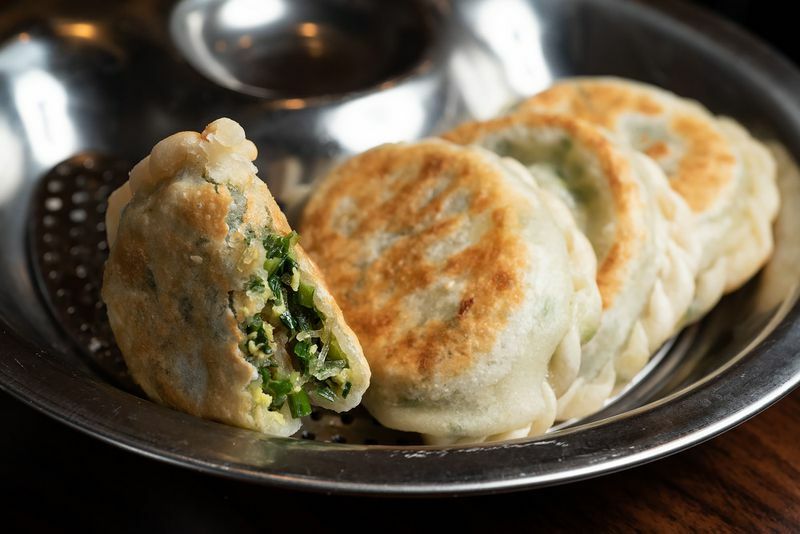 The one to hone in on is You Kitchen’s House Dumpling, which is made with ground fish with finely chopped water chestnuts and either coriander or Chinese chives. A few of the more unique fillings include the pork and corn, as well as chicken, shrimp, and corn. Bags of frozen dumplings are available to take home. The pancake portion of the menu includes some of the restaurant’s specialties. 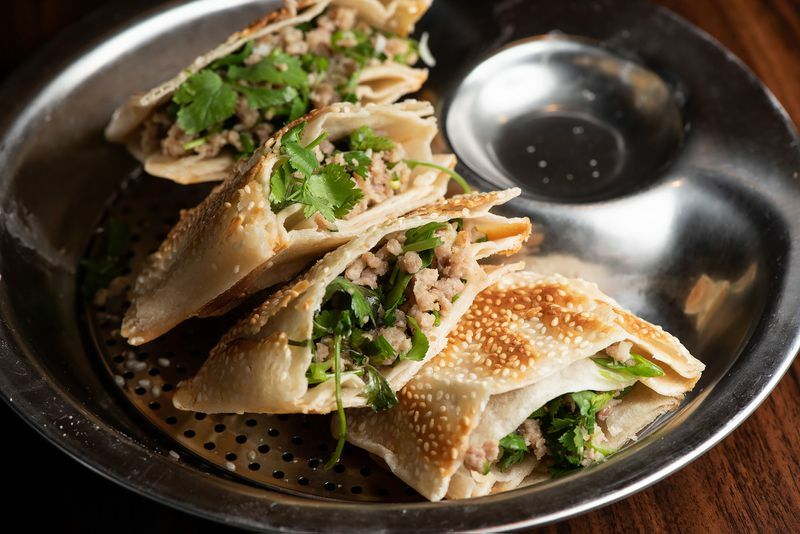 Shao is particularly proud of the big mouth pocket, an open-face, sesame-studded, pan-fried pastry filled with seasoned ground pork and cilantro. The pan-fried chive and egg pillow is another point of pride. The pastry is filled with finely chopped scrambled eggs, Chinese chives, pickled mustard greens, and glass noodles. 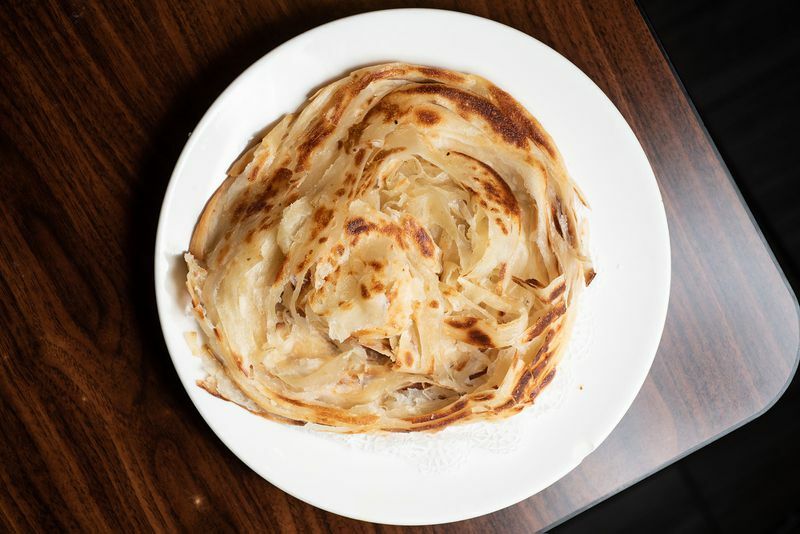 The selection of unstuffed flatbreads includes green onion pancakes and the roughly translated ‘hand-grasping cake,’ a mildly sweet pancake. 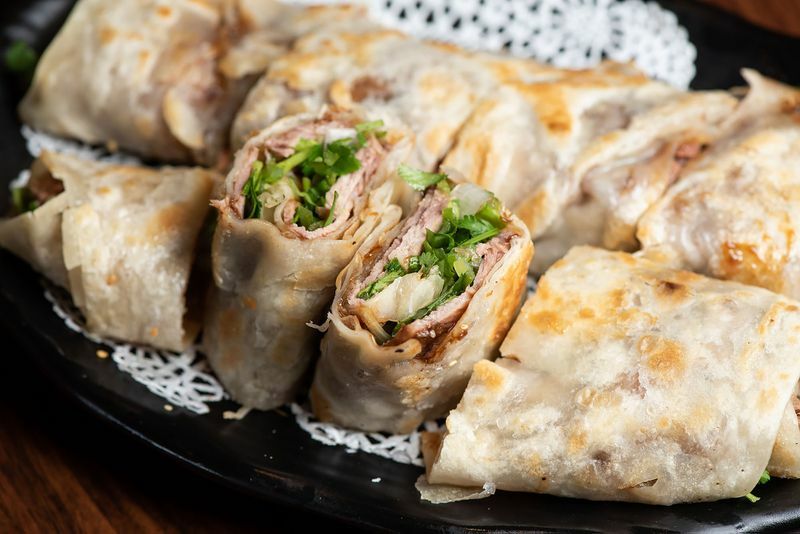 Rounding out the menu are wheat-based, pan-Chinese favorites like sheng jian bao, xiao long bao, and xian bing, a kind of northern Chinese-style meat pie. There are also noodle soups, wonton soups, and a couple of popular noodle dishes like zha jiang mian and dan dan mian. In addition to its tremendous menu, You Kitchen feels a bit like one’s mother, aunt, or grandmother is behind the stoves. This kind of hospitality has been largely absent from the dumpling scene since the closing of Monterey Park’s Dean Sin World last year. It’s this one-of-a-kind warm and homey setting that truly makes You Kitchen stand out in a crowded dumpling market. The restaurant is open seven days a week form 10 a.m. to midnight. “This Alhambra Restaurant Is the Best New Dumpling Spot in LA.” Eater LA – All. 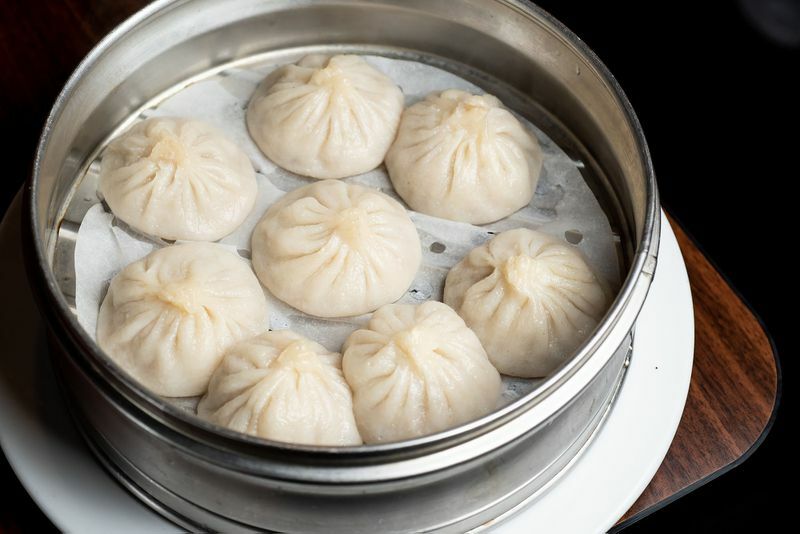 https://la.eater.com/2019/2/13/18222946/you-kitchen-alhambra-dumplings-chinese-restaurant.